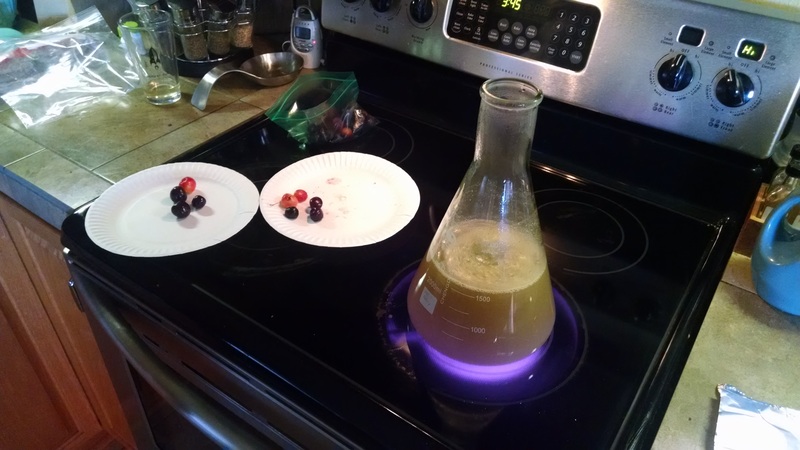 Mute Dog Fermenting – Fermenting beverages and foods with help from a Malamute. Yes it is possible to dry yeast at home. No it’s probably not going to be completely sanitary, but if you read this blog at all, you know that’s not a super high priority around here. Anyway, how is this accomplished? It’s actually quite simple. Many of the traditional Norwegian farmhouse brewers have dried their yeast for ages, the method I’m about to outline I gleaned from them with the help of Lars Garshol’s excellent blog. Next open your ferment at high krausen and scoop krausen out onto the parchment paper using a sanitized spoon. Use the spoon to spread the krausen out into a thin layer so that it will be able to dry quickly. 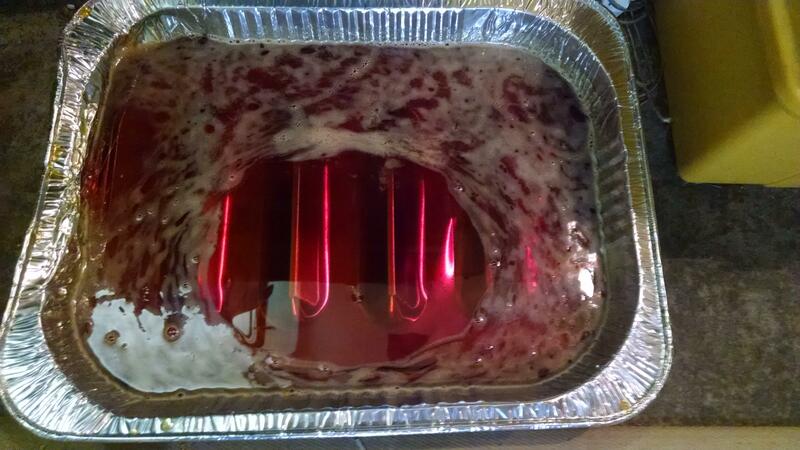 Place the pan in front of your fan blowing air across it on a low setting to help it dry faster. After a day it should be fully dry and ready to collect. Crinkle up the parchment paper to get they dried yeast to flake off. Dump the yeast into a clean dry jar. Label and date the jar and store it in the fridge or somewhere cool and out of sunlight. Pretty simple and easy. My main barrier to doing this all the time is that fact that I generally ferment in glass carboys so I can’t get in there to scoop krausen. I have dried bottom cropped yeast slurry before and it does work, just make sure you are spreading it THIN, if it takes too long to dry you’ll end up with mold growing on it and nobody wants that. Like I said this is obviously not aseptically sanitary, certainly random wild yeast or bacteria in the air could land on your drying yeast and infect it. The drying process should help though as not all microbes handle drying all that well. If you do this to a wild culture you can certainly alter it, especially if you’re harvesting krausen, doing this over and over through a few generations you’ll definitely select in favor of the microbes that get going quickly and reduce the amount (or possibly eliminate) the slower acting microbes. Obviously this doesn’t apply when harvesting slurry post fermentation. With top and bottom cropping you’ll still be eliminating any microbes that can’t handle drying. 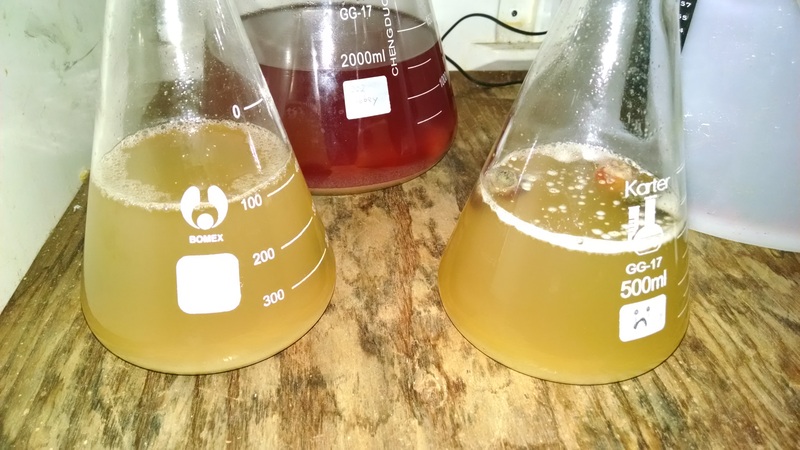 This may eliminate brettanomyces from a culture as I have heard that yeast sellers have had difficulty drying brett to sell. Recently I and some members of my homebrew club brewed 70 gallons of Belgian Dubbel in order to fill a former Merlot barrel. 70 gallons is quite a lot of beer and this brew required a large amount of belgian candi sugar. Seeing as how the stuff costs something like $7/pound at homebrew shops and it is basically just cooked sugar I went in search of how to make this stuff at home. What I found was that “basically just cooked sugar” isn’t quite accurate. 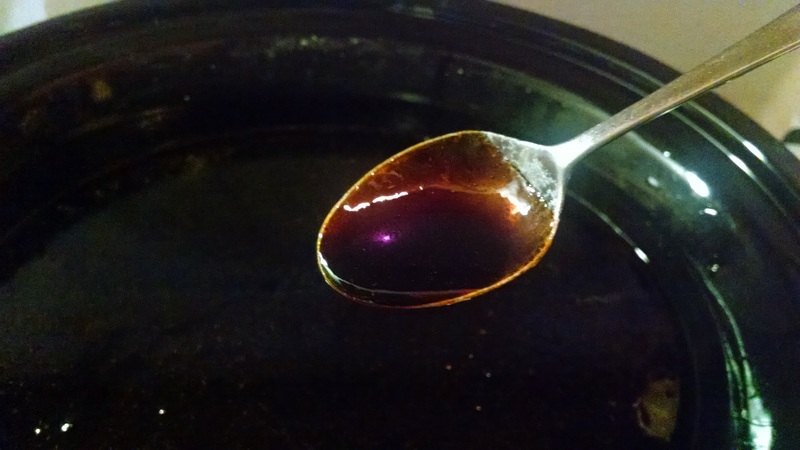 Despite what many online tutorials for making candy sugar tell you, there is a bit more to making candi sugar than cooking sugar syrup until it achieves a desired color. I found the process at the Sui Generis blog. The process is split among two blog posts and you have to do a bit of flipping between the two to determine the recipe which is kind of annoying so I figured I’d outline it here in a more readable way. I’m also making the syrup in a slow cooker which is a different and (I feel) superior method because you don’t have to be constantly monitoring it, stirring super hot boiling sugar, and stressing that it’s getting darker than you wanted. Another note: I’m outlining a 1kg sugar recipe here but accompanying photos are from a 3kg batch so bear that in mind when looking at the photos. The basic premise behind this method vs just cooking invert syrup until it turns dark is that this method utilizes maillard reactions where the other method is only caramelization. With maillard you can get more complex and desirable flavors like stone fruit, raisin, etc. The main difference between this method and the cooked sugar method is that we’re not using any acid to invert the sugar (acid puts an end to maillard reactions) and are adding a base part way through to really drive the maillard reactions. I’m also making it in a slow cooker over the course of 8-10 hours depending on how dark you want it to get. 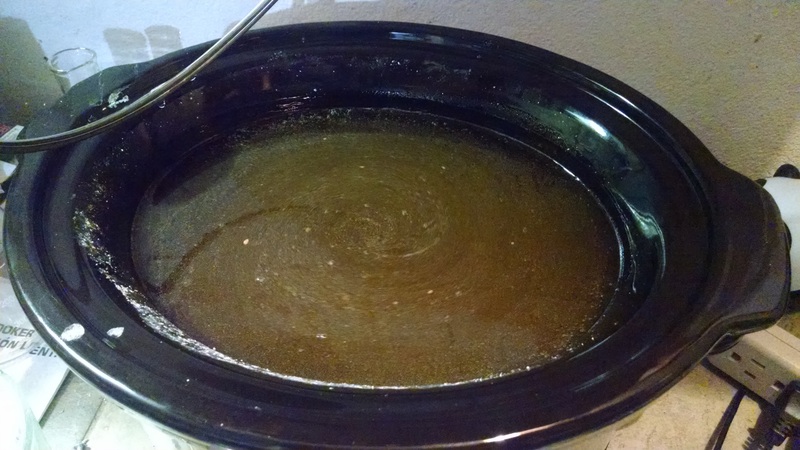 Add your sugar, malt extract and 200ml water to your slow cooker, stir to make sure all of the sugar is wet. Turn the slow cooker on to high setting, put the lid on. If you’re able to weight the lid to help prevent any build up of steam from escaping do so. Combine the slaked lime with the 60ml water in a glass and stir it up and then set it aside to allow it to settle. Return and stir the sugar sludge in the crock pot it probably won’t be fully dissolved quite yet. Put the lid back on and leave for another hour or so. Return to see that the sugar has fully dissolved. At this point our simple heating should have produced some inversion of the table sugar, enough to help with the maillard reactions we’re about to help initiate. Decant the clear liquid that has separated from the lime in the glass, I use a sort of flat ladle spoon to do this. Also be careful as this liquid is incredibly basic and will burn your skin. When you come back the room will smell like baking cookies, check on the color, and see where it is at. When the color/flavor is to your liking turn off the slow cooker and pour the syrup out of the pot and into something else to hold it for storage, mason jars or a disposable foil tray work well. Keep in mind that when this syrup cools it is going to be incredibly viscous and difficult to pour out of containers without warming it up quite a bit. With the slow cooker we aren’t bringing the sugar syrup to crack temp with this method so it will not completely solidify to the point where you can break it into chunks. This is not all that difficult to do, probably the hardest part is acquiring the pickling lime as it’s no longer recommended for use in pickling. I ordered mine from Amazon. 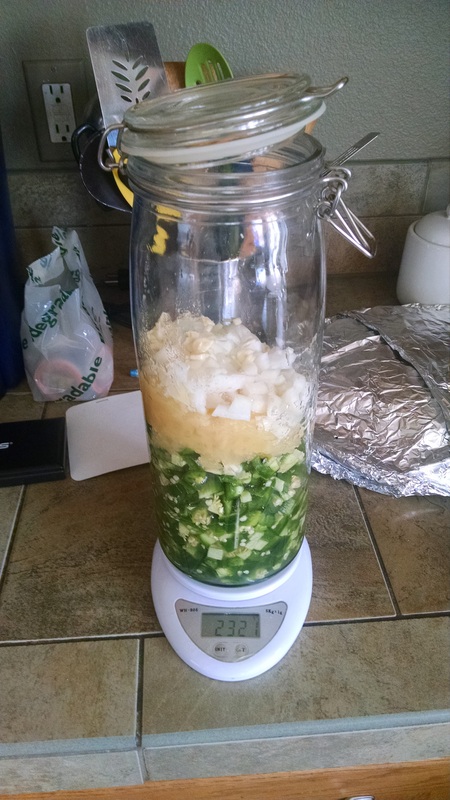 Making your own wild fermented hot sauce or salsa is fairly simple. I use a few special things to make it a bit easier but they’re not strictly necessary. You can easily make this with equipment you likely have around the house. If you’ve fermented your own sauerkraut before then this process will look very familiar to you. Basically choose what you think you’d like to have in your salsa/sauce. Understand that the lacto fermentation will add some sourness and possibly some fruity flavors to the final product. It will also reduce some of the heat of your peppers. The simplest recipe would just contain hot peppers and salt. 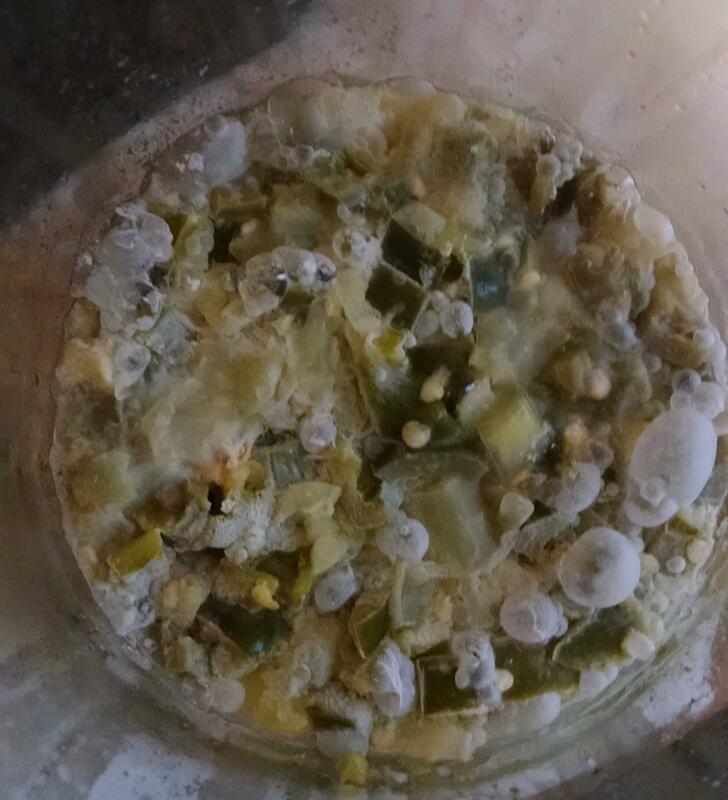 I diced every thing up and added them to a self-burping fermentation jar. I weighed the jar first so that I could get a measurement of the weight of the ingredients after they’d been added to the jar. After weighing the ingredients (minus the salt) I added 2.5% of the ingredient weight in salt, sealed the jar and shook it up to distribute the salt and mix the ingredients. If you don’t have a scale to weigh out the ingredients you can just sorta guess with the salt, for a full quart jar of veggies to be fermented, use 1 tablespoon of salt. After shaking it all up I used a spatula to push any ingredients stuck to the sides of the jar back down and pressed everything down a little bit to make sure it was submerged slightly under a bit of brine that was being extracted out of the peppers, onion and pineapple (not to mention the syrup that came with the pineapple). Don’t worry too much about getting it submerged but you don’t want big chunks sticking out as they could grow mold. I sealed the jar and left it in my office. Within a few days I could see that it was fermenting and had formed a bit of a pellicle on the surface. I let it go for a couple of weeks, the pellicle formed a few bubbles but there was no vigorous activity. This is what I was hoping for. I was slightly concerned that with the extra sugar from the pineapple that some yeast might take hold and ferment all of the sugar out completely. A vigorous ferment would indicate that this had happened. Lacto is generally a pretty low key fermentor, but it does generally form a thin pellicle so you can see that something is happening. 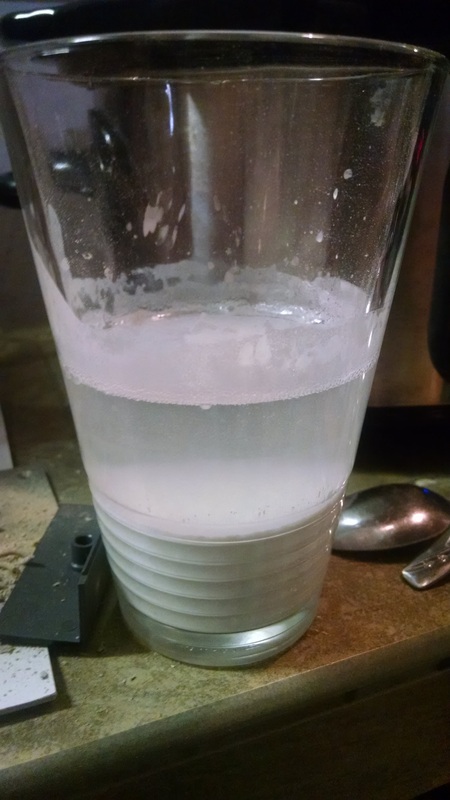 Another nice thing about lacto is that it’s fairly lazy and it generally will not ferment all of the sugar available to it, or at least it will take its sweet time in doing so. I left the jar to ferment for a few weeks. I mostly ignored it but every now and then the jar would burp itself and I’d get a whiff of fruity jalapeno heat as I was working. After I’d let it sit around for long enough (how long you let it go is really up to your discretion, some people only lactoferment veggies for a few days, some go for months) I took a taste and it was spicy with an underlying sweetness. 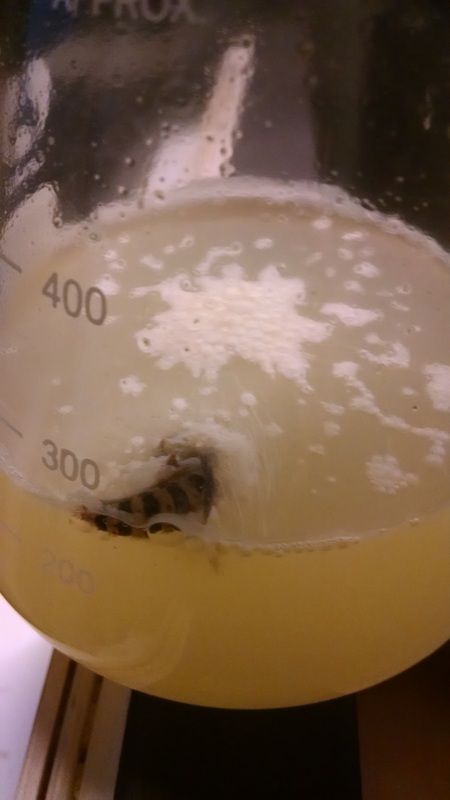 I emptied the jar into a blender and ran it until everything was pretty well liquified. This turned it into a salsa of sorts, but without the chunks. 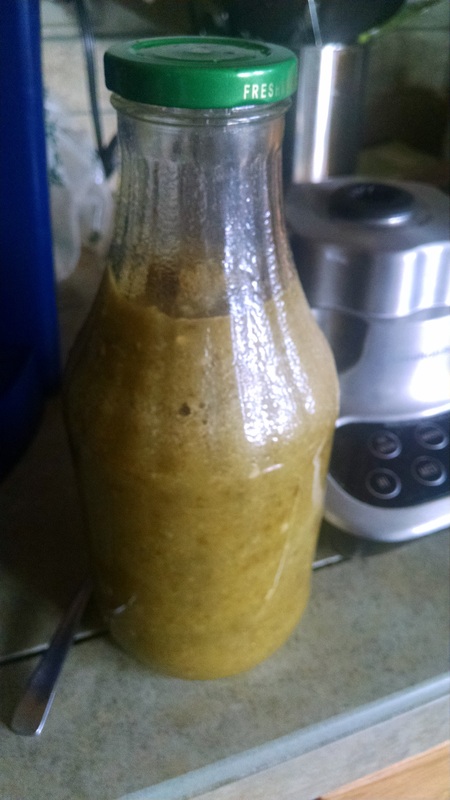 If you want a hot sauce a la tobasco instead of blending you’ll want to press all of the liquid out and separate it from the solids. You could achieve this by wrapping it in a tea towel and squeezing it or hanging it somewhere to slowly drip into a container. I prefer to just blend mine, it’s easy and it tastes good. So, as you can probably guess, I love Saisons. The typical story told about the style is that it emerged from farmhouse brewing traditions in France where they needed a beer for their seasonal farm workers to keep hydrated while working. If you know anything about saison today you’ll know that it’s not exactly something that you’d want to drink a lot of and then go try to wield a scythe and get some work done. So it’s likely that the first saisons were much lower strength beers than what is typically available today. 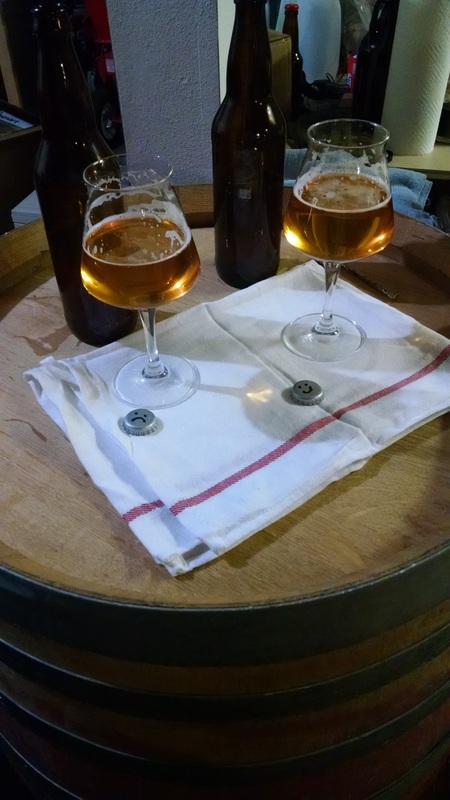 The BJCP has mentioned “Table Saison” as a variant of their 2015 definition for the style that ranges 3.5%-5% I actually wanted to make something that was even lower alcohol than that (if possible, I have this curse about trying to make session beers and they end up being 6-7% somehow). My goal was to make a beer that was around 2.5% abv, but hopefully didn’t taste too watered down. I decided to go with the high % (though maybe not a terribly high amount) of aromatic malt for this to help give it a good malty flavor despite the small amount of malt being used. I included the oats to boost the mouthfeel of what is likely to be a rather thin beer otherwise. I used glacier hops because glacier hops are the best, and did a 30 minute boil because I like to shorten my brew day. 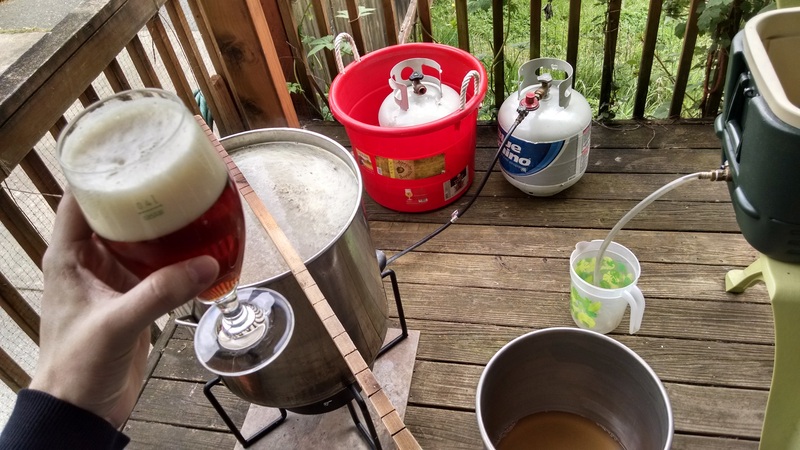 I mashed this beer rather thin since my HLT is my old 10 gallon boil kettle and I wanted to get 15 gallons of runnings so I mashed in with 9 gallons of water to achieve a mash temp of 155F and then sparged with another 9 gallons of water after about an hour. It took a while to get to a boil and my 19 gallon kettle was pretty much maxed out, I actually saved a few gallons off and added them to the kettle as I went to chill. Otherwise the boil went fine with no major hiccups. I split the wort among 4 fermentors, 2 2.5 gallon and 2 5 gallon batches were all pitched with different yeasts. The 2.5 gallon batches got my wasp yeast for it’s inaugural batch and the other 2.5 gallon got some of my local yeast, that was harvested from a plum blossom. I think I need to just come up with a name for all of the local yeast captures, since they are all pretty much the same yeast. The 5 gallon batches got my hefe/brett (probably needs a better name) culture and my abbey culture that had been revived from a jar of yeast that has been in my fridge now for 3 years and 4 months, ha! The original gravity came out to 1.031, which is 6 points higher than I was shooting for meaning my efficiency was 88.5% which seems incredibly high to me, I wonder if the thinner mash had something to do with that? So I guess this could possibly qualify at the low end a Table Saison depending on attenuation. All of the batches took off fermenting pretty quickly. I will post tasting notes when they are ready.